The latest figures from Age UK, a leading charity dedicated to helping people make the most of later life, show that 1.2 million of those aged over 60 in this country are chronically lonely. What’s more, according to a recent survey commissioned by this organisation, almost one million (982,200) of these feel lonelier at Christmas, especially those who are widowed, unmarried or divorced. 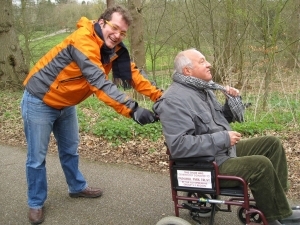 Eighty five per cent of Age UK’s survey respondents said that more help should be available for lonely older people. Three out of five said that regular visits from a friendly face would help and nearly half agreed that weekly phone calls would make a difference too. Also, the Royal Voluntary Service, which connects volunteers with individuals suffering from loneliness, reports that more than one in four people aged 75 plus say they cannot wait for Christmas Day to be over. This is desperately sad. Christmas is supposed to be a season of joy, togetherness and perpetual hope. But to someone who is chronically lonely, who has little human contact on a day-to-day basis, watching others having a wonderful time with their loved ones can be especially difficult. One of the most effective ways you can help at Christmas time is by joining a volunteer organisation or charity such as the Royal Voluntary Service. This sets up regular visits and phone calls for people suffering from loneliness, helps them with practical tasks such as shopping, provides meals and even books with its library service.You can join the Royal Voluntary Service to make the visits or phone calls yourself, or assist in one of the charity’s lunch clubs, social centres or community cafes. So far over 35,000 volunteers have joined and there is a huge variety of roles and locations available. The work is extremely rewarding, as well as highly beneficial to recipients. Charity shops need volunteers too. You might know somebody who lives nearby who is lonely. Perhaps they are elderly, live alone, recently suffered bereavement or in poor health. Why not be proactive? Ask them if they need help with day-to-day tasks such as walking the dog or shopping. Offer to accompany them or give them a lift. What might be a small act to you may be an overwhelming gesture to those suffering from loneliness. There is a variety of charities and other organisations that support people in later life including those mentioned above, The Silver Line, Friends of the Elderly, Contact the Elderly, The Salvation Army and The Samaritans. Donating is quick and easy, and can make a real difference to someone’s life.Health and fitness website Sofeminine says that £11 will get a volunteer out to visit a pensioner in their home, £25 is enough to cover a festive lunch and £50 could pay for a charity to recruit and train a new volunteer. Every little helps! If you want to take your efforts to support people living with loneliness to the next level, try organising a fundraising event to support one of the charities above. There are lots of things you can do, from sponsored walks or cycle rides to Christmas quizzes and tabletop sales. You could even offer a Christmas present wrapping service to your friends. 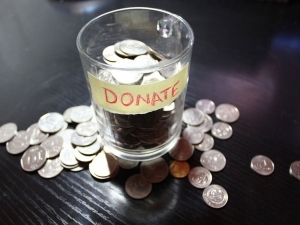 If you need inspiration check out this list of fundraising ideas. 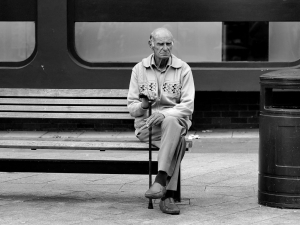 Loneliness, or the fear of being of being lonely, is one of the reasons people in later life move to retirement villages, especially those who have lost their partner. They want to be part of a close-knit community, where people look out for one another and there are regular events and activities that involve everyone, especially at Christmas time. Residents at Cedars Village in Chorleywood organised, staged and attended a special Christmas performance featuring dancers, singers, musicians, sketches and play readings. This was a wonderful, well-attended evening that raised over £250 for the nearby Michael Sobell Hospice through donations. Find out more here. Lime Tree Village received a visit from a local primary school, where children aged between five and ten sang carols to the residents and then spent time talking to the residents. It’s very own choir also held a special performance, raising nearly £150 for The Air Ambulance Service. Find out more here. Our Cranleigh-based Elmbridge Village raised over £300 for Shooting Star Chase, a nearby children’s hospice, through a Christmas raffle where residents came together to donate prizes such as wine and chocolates. Interestingly the charity was also drawn at random from a collection of resident nominations. Find out more here. Loneliness is a significant, well-documented problem. By pitching in together we can help overcome it and drastically improve the lives of many people who find themselves isolated in later years.